Galonski, previously a magistrate in the Summit County Court of Common Pleas, has served the state in a legal capacity for over 15 years. Formerly a magistrate of the county’s domestic relations court, she most recently served as magistrate of the county’s juvenile court before coming to the state legislature. Galonski received her Bachelor of Science in Psychology from Emory University in Atlanta, where she became employed with Delta Airlines as a flight attendant. Her goal at Delta was for flight attendants to be unionized like pilots, as she noticed the pilots were able to negotiate as a unit for fair and just workplace agreements. She continued to work full time as a flight attendant while attending the University of Akron School of Law, where she was a Dean’s Club Scholar. She graduated from the University of Akron School of Law in 1995 and was admitted to the practice of law. 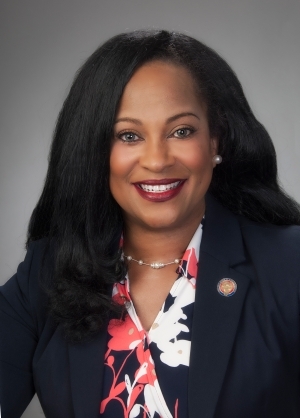 In addition to her extensive background in public service, policy and legal issues, Galonski is also a member of Leadership Akron, The University of Akron School of Law Alumni Association, the Barristers and the Ohio State Bar Association. She was appointed to serve as the juvenile court representative for the Summit County Fatherhood Initiative, which earned her the 2014 Ohio Fatherhood Center Achievement Award. She is married to Summit County Chief Assistant Prosecutor John Galonski. The Galonskis have a son, a daughter and a grandson.